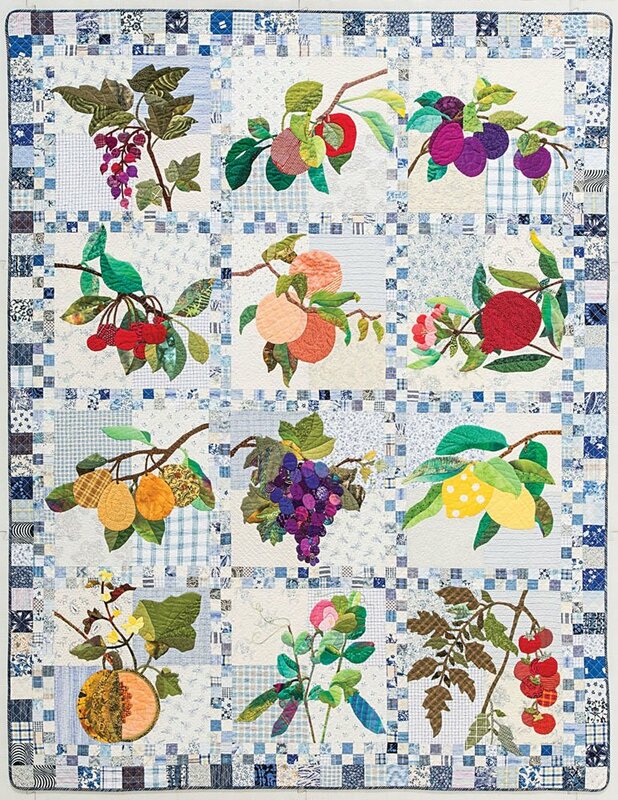 This beautiful quilt has 12 blocks that you can use together or in other projects. Finished quilt size: 52" x 72"
A full-size black and white pattern for each 16" x 16" block. The 1" x 1" squares around the block are included in the block size. Please note that the pattern pages are on 8 1/2" x 11" pages that must be trimmed and taped together to make the full-sized patterns. Yardage and cutting instructions for the entire quilt. Simply Delicious is lovely when stitched in wool. 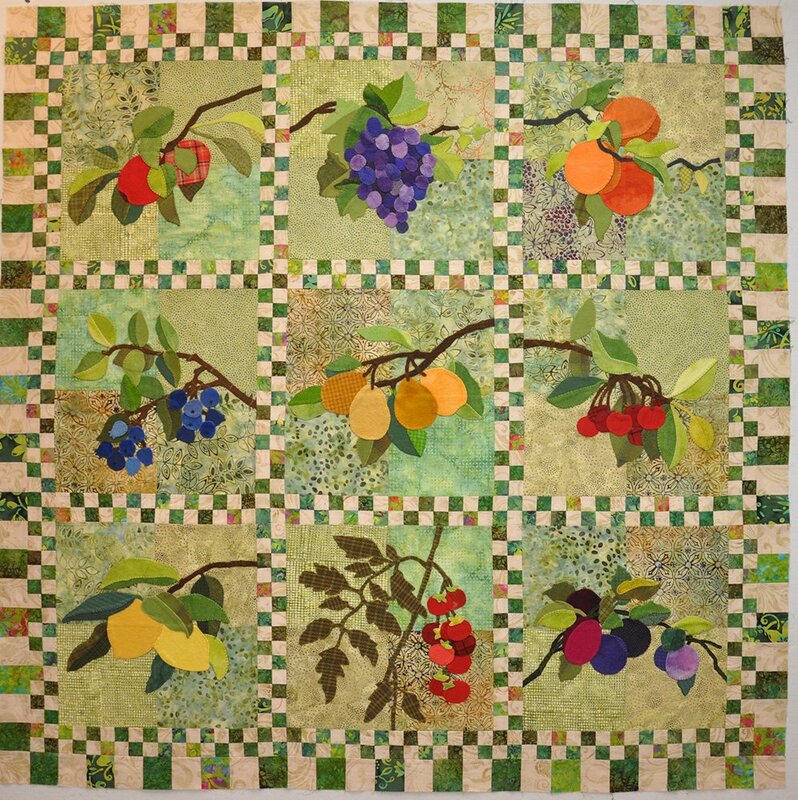 Here is Linda's 9-block wool version, on batik backgrounds. Fantastic!